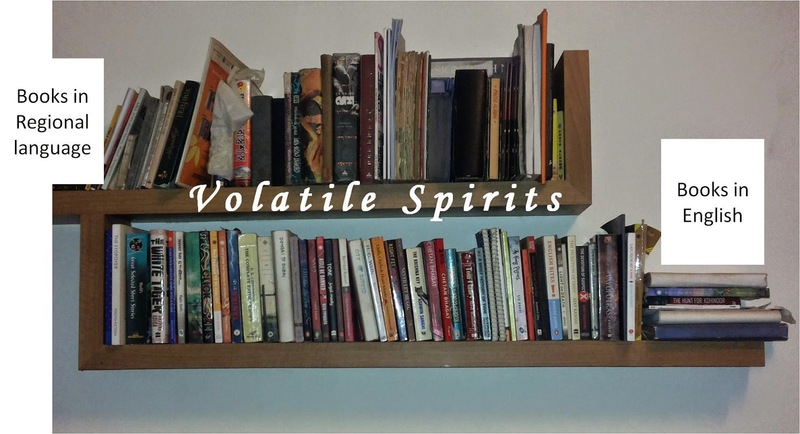 Volatile Spirits: B for Books! Yes, its B for Books. 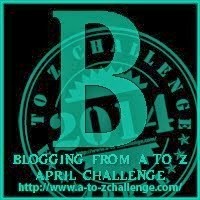 The theme I've chosen for this A to Z challenge is what each letter means to me the most. Its less to call me a Bookworm. I am someone for whom anything in print suffices. And you dare comment on my choice of books - those in the photo above are only a part of the ones I own. When we shifted homes, my husband underestimated the speed of my evergrowing collection and made two stylish shelves. Now he says, "I should have dedicated a full wall for your books!" Books mean a lot for me. They keep me awake in public transport, help me wait anytime anywhere, and more. Its also the easiest way to strike of a conversation with me - Ask me what book I am reading - for I am sure to be devouring one. To satisfy your curiosity, I am currently reading "Byculla to Bangkok" by S. Hussain Zaidi. How about "B for Booze"? My reading has been reduced to internet content, but before the age of the web my reading was limited to magazine articles. I have never been a big reader of books, as my mind tends to wonder. Of course, I always loved reading to our children and that instilled in them the love of literature, especially in our daughters who are Bookworms. lol Nice to meet you through the #a2Zchallenge! How are you liking Byculla to Bangkok? My wife and I read a lot. And before we moved three tall bookshelves were enough. Within the week we had moved, somehow the three massive bookshelves weren't enough space. I don't know how it happened to be honest. Lovely "B" word! Probably most of us that love to write, have always had a love of books first. I too love reading books but my problem is that I do not remember who borrows my books and as such I am never able to do a proper collection..nice post..